Rebeca Méndez is both a designer and a fine artist. Her work in both arenas has been praised and admired for the past two decades, particularly for its visceral, challenging, and sensual appeal. 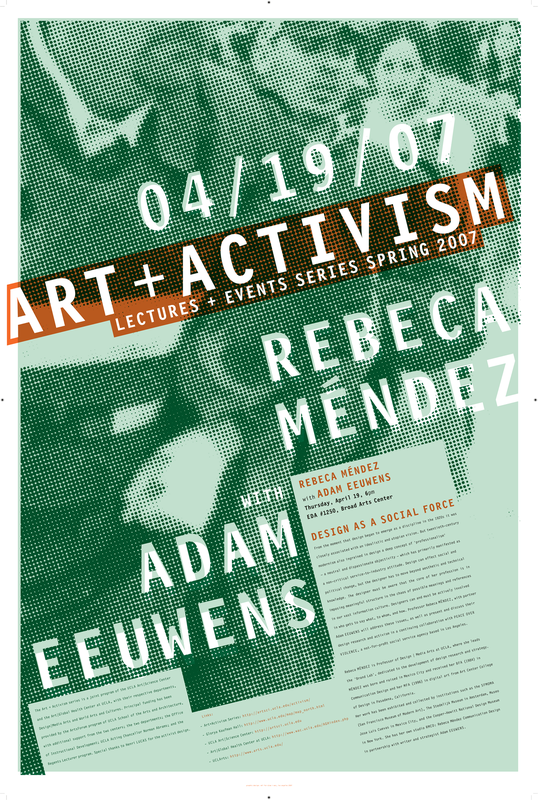 Méndez designs primarily for non-profit organizations or cultural institutions. As an artist, she crosses all boundaries, traveling to extreme places such as Iceland, Patagonia, Svalbard, and the Sahara, where she is awakened to a heightened level of perception. She considers the journey as a medium in itself, and “migration” as an essential part of her work. The profound social ignorance in this country on the topics of immigration, magnified by irresponsible and special interest media platforms that are dominating the conversation, have made her feel unwelcome and thus have heightened the sense of activism in her work and lectures.